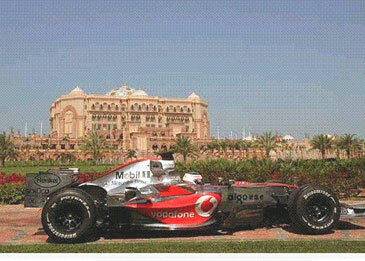 Abu Dhabi has secured the rights to host a Formula 1 Grand Prix from 2009. 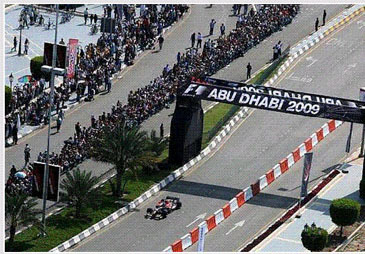 ABU DHABI (WAM) — Formula One Management confirmed that Abu Dhabi, the capital city of the United Arab Emirates, has secured the rights to host a Formula 1 Grand Prix from 2009. 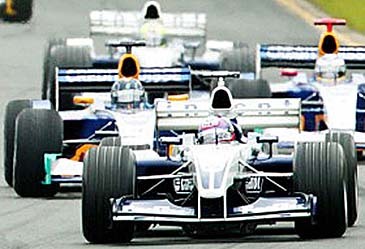 "A Formula 1 Grand Prix is one of the world's most prestigious sporting events, in the same category as an Olympic Games or World Cup, and is unrivalled in terms of continuous global resonance. "That is why this new partnership is such an exciting one for Abu Dhabi and the entire UAE," said His Highness Sheikh Mohammed Bin Zayed Al Nahyan, the Crown Prince of Abu Dhabi. For Abu Dhabi, and indeed the whole of the UAE, the opportunities that are presented by increased international attention and connectivity will deliver very real macroeconomic benefits. Abu Dhabi, the capital, and largest of the seven Emirates that make up the United Arab Emirates, will provide an idyllic location for one the world's most popular sports. With over 200 natural islands, offering some of the most untouched beaches in the region, it is fast becoming one of the most sought out destinations in the world. Formula One Management CEO Bernie Ecclestone commented on the decision, We are delighted to welcome Abu Dhabi into the Formula One family, and look forward to a long and successful partnership. Abu Dhabi's hospitality, the genuine warmth of its people, and ever increasing number of world class facilities, will ensure that its round of the FIA Formula One World Championship is a wonderful addition to the Formula One calendar." The 2009 Formula 1 Abu Dhabi Grand Prix track is being constructed by ALDAR Properties, one of the UAE's leading property development companies, and designed by renowned Formula 1 circuit designer Hermann Tilke. Already under construction, the track is situated on a 2,550 hectare, natural leisure island, Yas Island, situated on the east coast of Abu Dhabi and only minutes away from the expanding Abu Dhabi International Airport. "Abu Dhabi will bring its own unique culture, landscape and fans to the F1 experience," said HE Khaldoon Al Mubarak. "The track design alone is an indication of the visionary approach we are taking and I am confident we will deliver something truly special." "Spectators will enjoy high speed action played out on three distinct sections of the 5.6km circuit, including high speed areas ending in tight overtaking turns, a street section and a marina section. Each section of the circuit combines to deliver an unrivalled viewing experience," he added.